Itamaracá Transportes, a Pernambuco-based company established in 1958, is part of the Conorte Consortium responsible for batch 01 of the Public Passenger Transportation System of the Recife Metropolitan Region. Because transporting people requires an optimum use of resources and safety technology, Itamaracá partnered with MiX Telematics channel partner MobileComm to reduce fuel consumption and carbon emissions through more efficient driving. Itamaracá Transportes is a Brazil-based public transport operator. 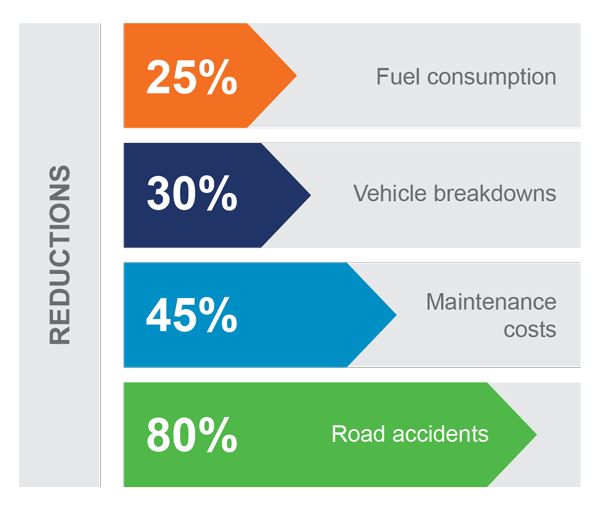 They chose MiX Fleet Manager Premium, a fully comprehensive fleet management solution from MiX Telematics, to reduce fuel consumption and carbon emissions through more efficient driving. With the MiX Telematics solution in place, Itamaracá could set up and receive several types of vehicle and driver reports and alerts in real-time. As a result, they have been able to assess the performance of each driver and improve their drivability profiles – a significant contributor to passenger comfort and satisfaction. Our drivers have been praising the quality of our monitoring, as we are now able to ascertain the performance of each employee accurately and in real-time.